A Fun Online Scooter Club Just for Wisconsin! 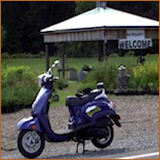 Wisconsin eScooter Club - Join an online regional scooter club here or read about other members of our Wisconsin eScooter club at Motor Scooters Guide. It's free to join our online scooter club for Wisconsin, and easy too. All you have to do is fill out the form down below. I know I'm asking for a lot of information, but I want this to be a community where we really feel as though we're getting to know each other. 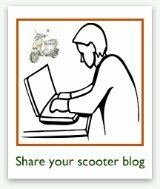 When you join our online scooter club, you can also share your scooter blog with our whole scooter community. I'll include a live link to your blog, provided it really IS about scooting, and is not offensive in any way. You MUST include the following information or I will not post your submission on the site. Writing, "Hi... 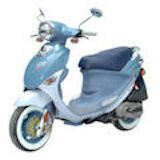 I'm Mary & I love to ride my Kymco People!" is NOT enough to warrant inclusion on our site. Just look at some of the other club members' profiles to get an idea what to write if you're having writer's block! The form is right down there... that's right, scroll down, you'll see it! Just fill it in and hit the Submit button & you are on your way to being a proud member of the Wisconsin division of the eScooter Club. And that's it! I told you it was easy, didn't I? 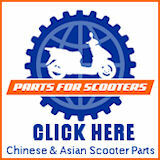 Join Our Wisconsin eScooter Club! Would you like to become a member in the Wisconsin division of our online scooter club? Great! It's super easy to become a member... all you have to do is fill out the profile form below. One note: PLEASE, PLEASE, PLEASE... use proper capitalization and punctuation! Also, write in complete sentences and check for typos. The longer I have to spend on editing your profile to make it readable, the longer it'll take for it to go live on the site. THANKS! And be sure to include anything else that would help us get to know you! Do include how you feel about scooting and your scooter, OK? 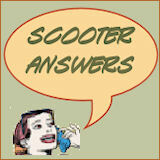 Who Are You & What Type of Scooter Do You Own? Creating your profile is easy... just start typing & before you know it, you'll be done. Do include as much info as you can, so we can really feel as though we know you, at least as much as possible in an online medium like this. PLEASE use proper grammar, spelling, capitalization or punctuation or your profile may never see the light of day! 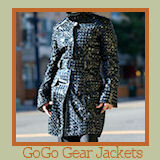 Your profile will appear on a Web page exactly the way you enter it here. You can wrap a word in square brackets to make it appear bold. For example [my profile] would show as my profile on the Web page containing your profile. Photos of you and your scooter will bring your profile to life and help us to get to know you. Let us put a face to your name, OK? Click the names below to read about other Wisconsin eScooter Club members and/or to comment on their profiles or update your own.